Seafood is a wonderful light protein to break up your nights of chicken. These healthy seafood recipes are perfect for light summer meals. 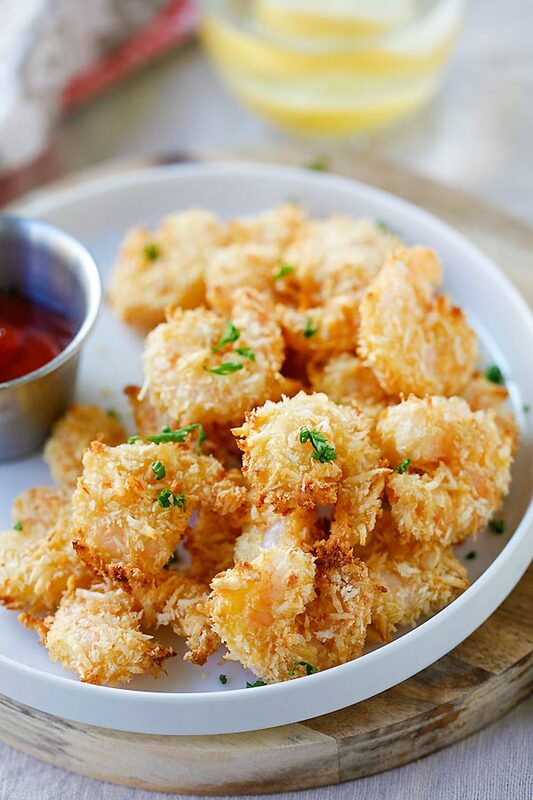 First up is a lightened take on a restaurant favorite, Parmesan Baked Popcorn Shrimp. This Blackened Fish Burger with spicy mayo is the right way to take a break from fast food. Meal prep is easy and delicious with Caribbean Jerk Shrimp with Cauliflower Rice. 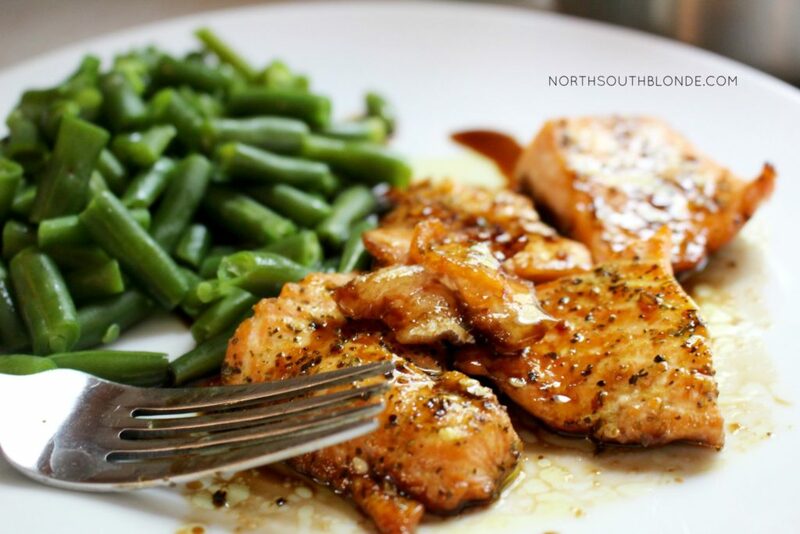 Teriyaki Salmon is the perfect way to introduce someone to the healthy seafood. 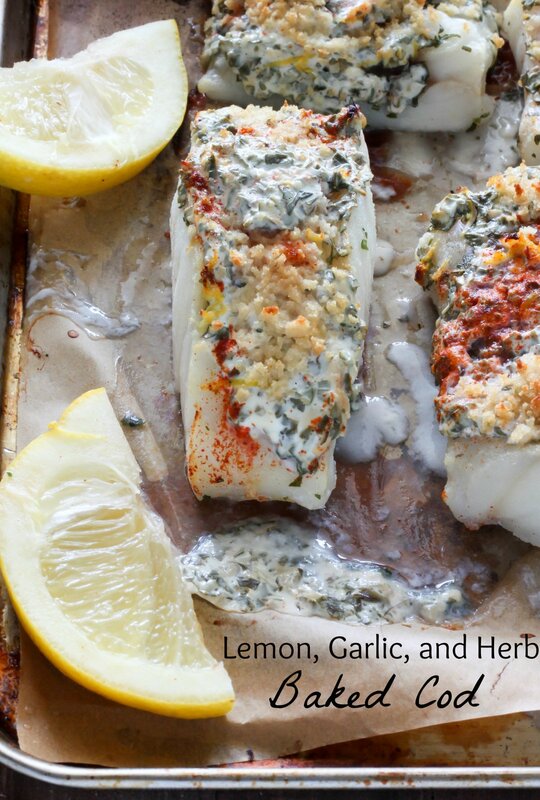 Whip up for a light and tasty 20-Minute Lemon, Garlic, and Herb Baked Cod. 15-Minute Garlic Shrimp Zoodles are much healthier for you than the typical shrimp scampi out. 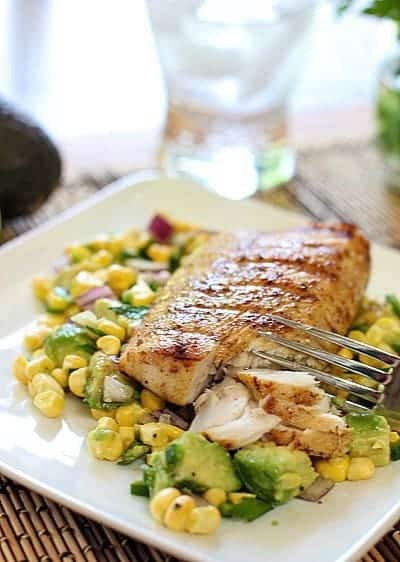 Break out the grill this spring with Easy Grilled Mahi with Avocado and Corn Salsa.